• Zobrazit téma - Joel Henriques - Made to Play! 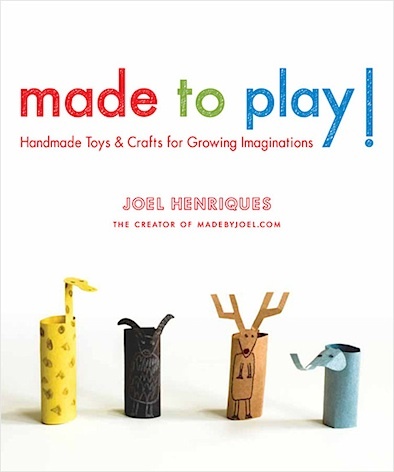 Joel Henriques - Made to Play! Předmět příspěvku: Joel Henriques - Made to Play! Delight young children and encourage play through unique handmade toys. 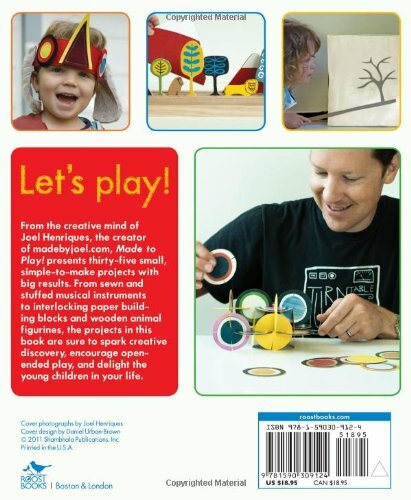 From sewn and stuffed musical instruments to interlocking paper building blocks and wooden animal figurines, the projects in this book are meant to encourage open-ended play. Organized by kid-loving subjects, the toys here follow the themes of Zoo; House; Blocks, Cars & Trucks; Dress-Up; Music; and Art. Overall, the projects here are meant to stimulate imagination, build confidence through success and enjoyment, and enhance the bond between family and friends through the creation of unique, artistic handmade toys and crafts. The thirty-five projects in this book include a variety of crafts, from drawing to sewing and light woodworking. The toys presented here are made out of wonderfully tactile materials-repurposed fabrics, wood, and paper-and invite opportunities for creative and imaginative play. Every project is easy to complete, made with accessible materials, and requires little time to make. The projects are simple enough that endless variation can come from the making of each, leaving enough room for you to make the item to suit your own personal interests. With a design aesthetic that is clean, simple, and modern, each project is presented with full-color photos and hand-drawn instructional illustrations and templates.